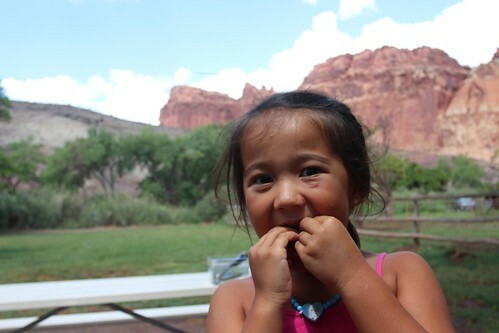 Mali Mish - Day 9: Petroglyphs, Old Schoolhouse and the Fruita Orchards. 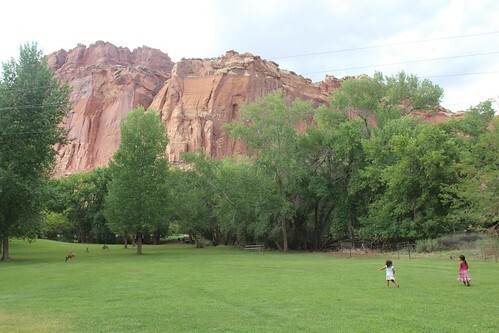 Capitol Reef is one of the smaller and less popular National Parks in the area. Relative to Bryce Canyon or Arches National Park, it is comparatively deserted. That is actually pretty nice if you are looking to take things easy like we are. The park sits along route 24 and all of the orchards that were owned and operated by the residents here in the past are now run by the National Park service. There are a total 18 of them named after the family who originally owned them. 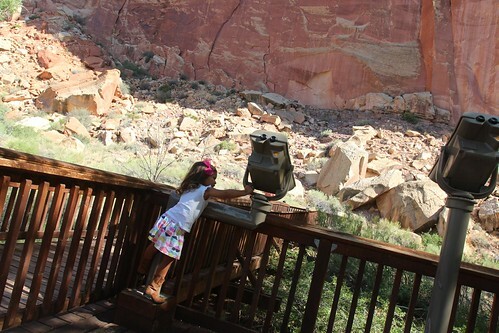 We headed up the road to find the orchards that are open for picking and decided to stop and check out the petroglyph site where the Hopi and Zuni people have carved images into the stone walls. 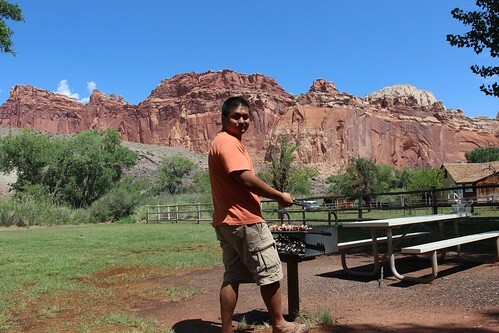 They lived here over 1,000 years ago and thrived along the Fremont River as well just like the former residents of Fruita. Since all of the family here had children, the commuity came together and built a school house using all local materials. 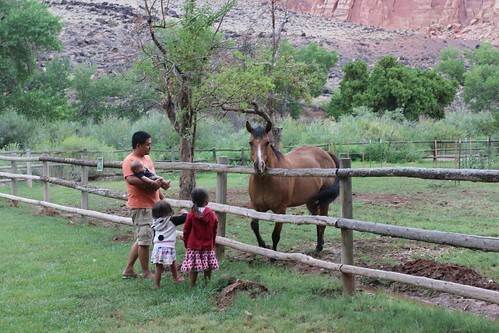 It was their first community effort and it has been preserved as a attraction at the park. It was not open when we were here so we only got to peek through the window. 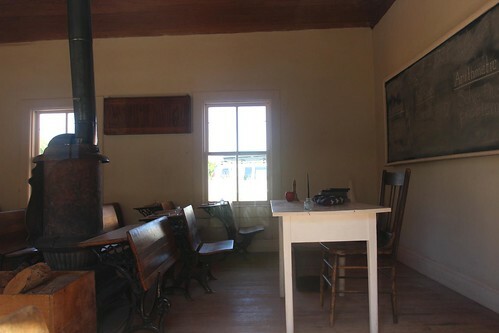 It literally looks like the school from ‘Little House on the Prairie’. 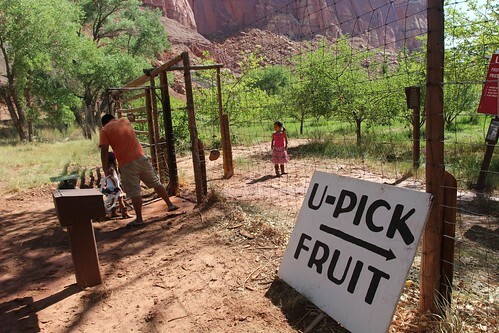 We eventually made our way to the Jackson orchard that was open for picking today. 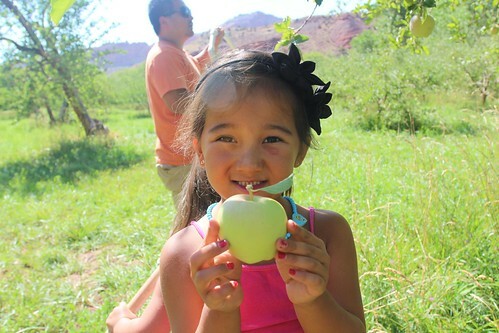 The way these orchards work is that you can bring as much of the fruit out in your stomach as you can for free, but if you want to keep it for later, it is a buck a pound on the honor system. 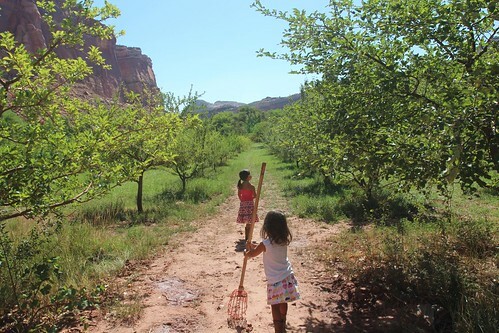 Picking sticks and ladders are supplied for the visitors and you can just roam around the orchards yourselves looking for the season’s best. 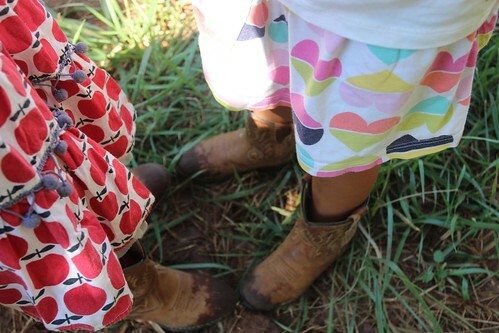 In the Jackson orchard, there were 2 varieties of apples and peaches. These greenish yellow ones seem to be the best here. It is both tart and sweet and very juicy. 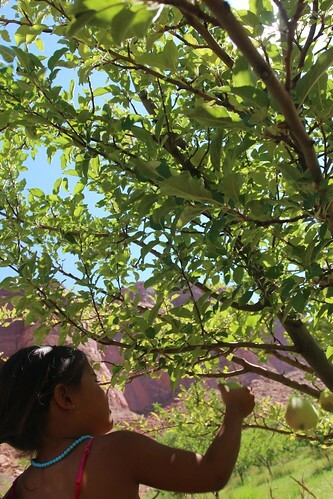 The peaches are a lot smaller and they typically are not ready to eat off of the tree. They can theoretically ripen on the tree but by the time that happens, they will either fall to the ground or be picked by the birds in the area. 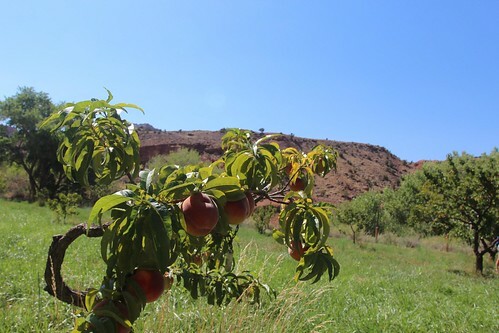 All of the orchards here are irrigated using the historical methods of diverting the Fremont river water. That means the red clay is always wet and expect to track them all over your car after a visit. I ate probably 4 apples while I was in the orchards and took away almost 16 pounds in a bag. 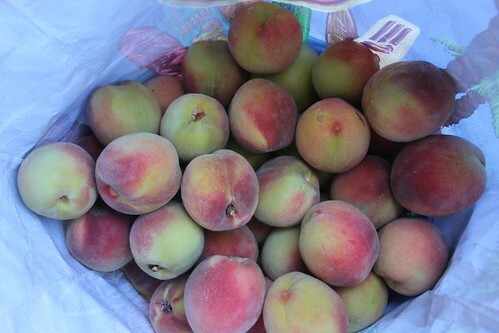 The a buck a pound is not a great deal for apples but the peaches are a steal. 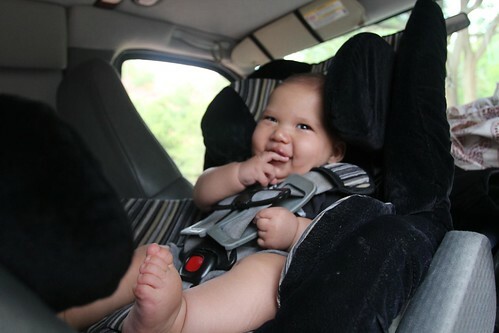 Since we have owned the Mish back in 2008, we have spent hundreds of nights in it in all kinds of campgrounds or parking lots all over the country. 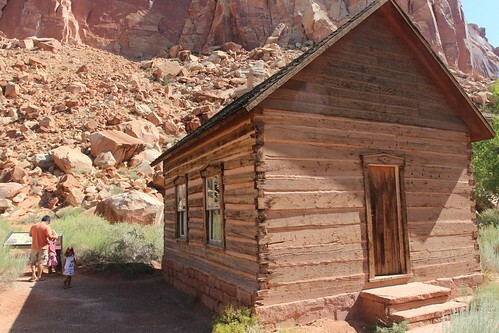 But this is the first time we have ever stayed in a National Park. Not that we have not had the desire to camp in them but the fact most of them have no hookups or Internet makes working a little tougher. Now that have a small solar system, as long as I can clear my work schedule, we can make this a regular experience. And guess what, we even bought some charcoal and cooked on a grilled for the first time on this trip. 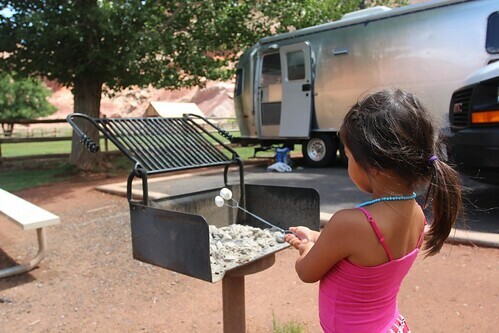 Ava took advantage of the open fire and roasted some marshmellows. She loves marshmellows. She doesn’t really care for the graham crackers or necessarily the chocolate, but she can probably eat a whole bag of marshmellows if I let her. 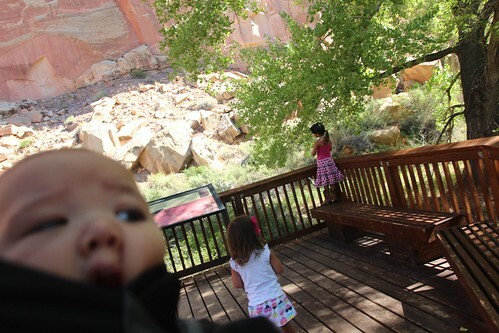 After our BBQ lunch, we attended a junior geology session at the Nature Center for the girls to learn about these rock formations. I don’t know what this place is like when it’s busy but on a Saturday afternoon like today, we were the only family here. I think we probably missed the busy season by just a couple of weeks as most schools have already started. 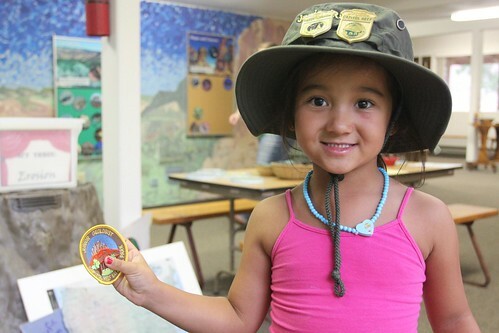 Our private session at the nature center gave our Junior Ranger a new patch patch to her National Park collection. 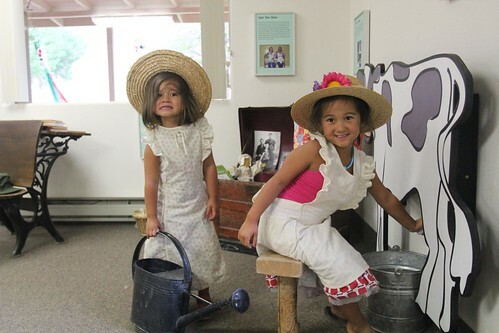 They had a blast here learning about the life of the Mormon homesteaders with the hands on exhibits. 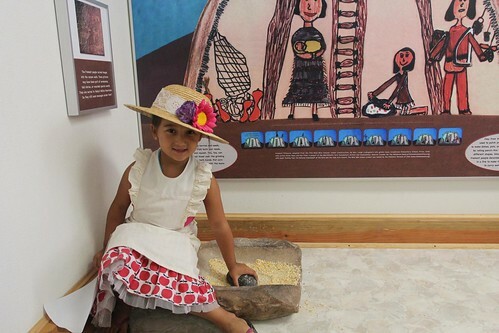 Also how the Hopi and Zuni people used stone tools in their daily lives. 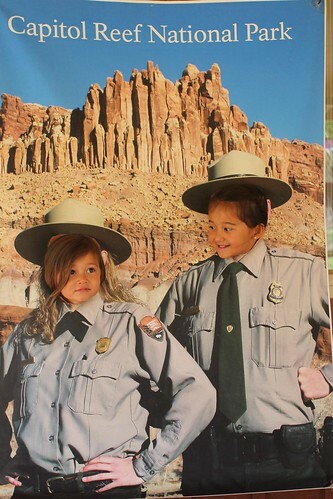 I think they are getting the hang of this National Park things. This breathtaking desert oasis is definitely a place you have to experience for yourself. See you later horsey neighbor. We hope to see you again another day.